After it in installed on more than one computer on your home network, simply start it. It is located under Internet in the program menu. 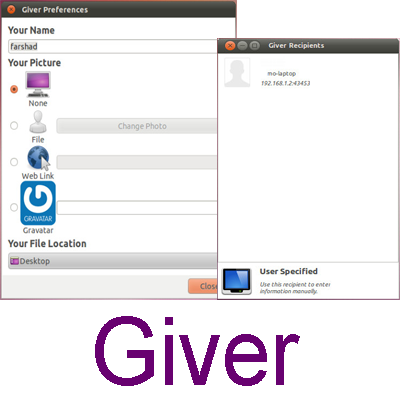 It will automatically detect anyone running Giver on your network. 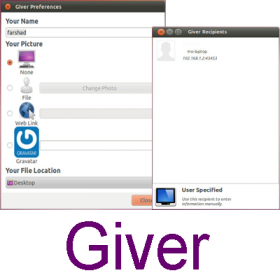 You can then send files to them by simply dragging the files to their photo or icon shown in Giver.